There are many reasons people pursue becoming a British citizen. This is why our immigration specialists at Bloomsbury Law offer confidential legal advice in order to cover every aspect of your application. Our experienced bilingual team can assist you on choosing which application is right for your circumstances and additionally working with you through your application process. Naturalisation can be achieved through several different avenues. 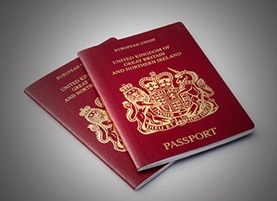 If you are over 18 years old and have been living in the United Kingdom for the last five years (or three years if you are married or civil partner to a British citizen) then you may be entitled to apply for naturalisation as a British citizen. In order to make a successful claim when applying for British Naturalisation, there are a number of requirements that need to be met. There are many different types of nationality applications as well as different routes in which their criteria can be met. For example, most applicants will need to prove their level of English to be a certain standard and also pass the Life in the UK test. However, some applicants are not required to do so. It is important to seek legal advice on these matters as these may jeopardize the standing of your application. If your application is refused, some applicants have the right to appeal on the grounds found in their refusal letter. In other instances, applicants may have to leave the United Kingdom and reapply in their home country. It is therefore best to seek legal advice about which category suits you best in order to prevent you having to disrupt your current circumstances in the UK. Many looking to attain British naturalisation have unique applications which render specialist advice. Our professional immigration team can assist you step-by-step in your application. We will act upon your instructions and we will do our best to ensure your application is dealt with quickly and efficiently.